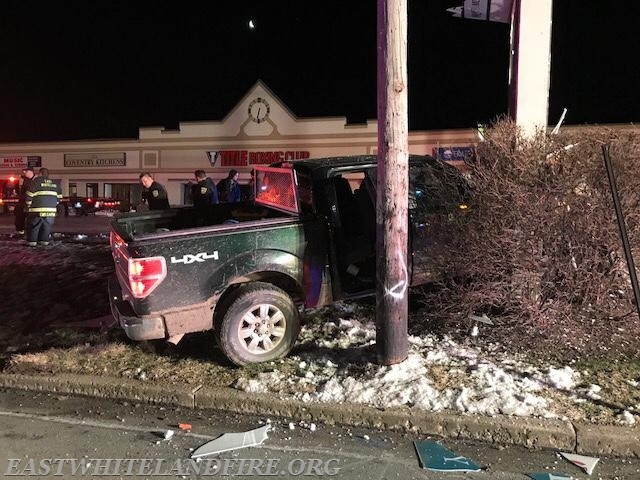 On Sunday, March 11th at approximately 5:50am, units from the East Whiteland Fire Company were dispatched to the 400 block of Lancaster Avenue for a vehicle accident. Arriving units found three injured occupants from the vehicle involved. 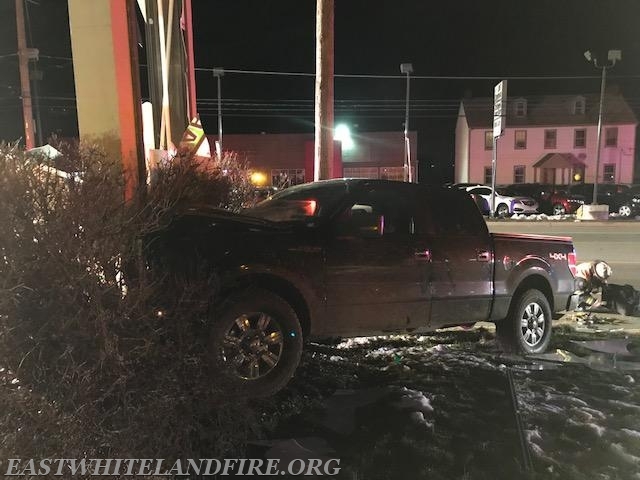 The occupants were tended to by the East Whiteland Fire Company Ambulance, The Malvern Fire Company Ambulance and the Malvern Fire Company Paramedic Unit. Fire units remained on the scene until the vehicle was removed. 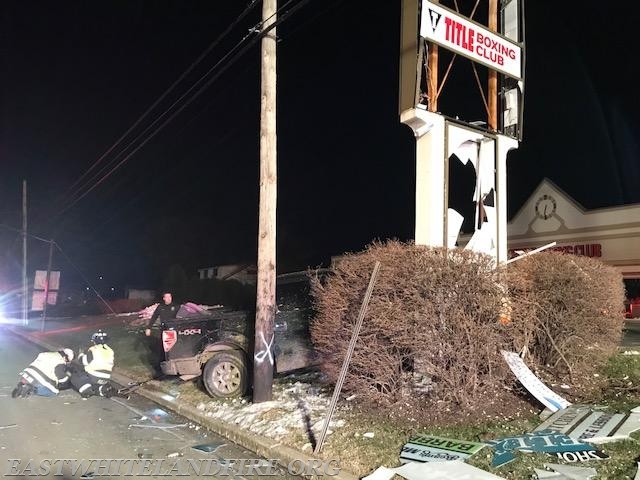 Protecting rescue crews at the scene from any vehicular traffic hazards was the East Whiteland Fire Company Fire Police Unit. 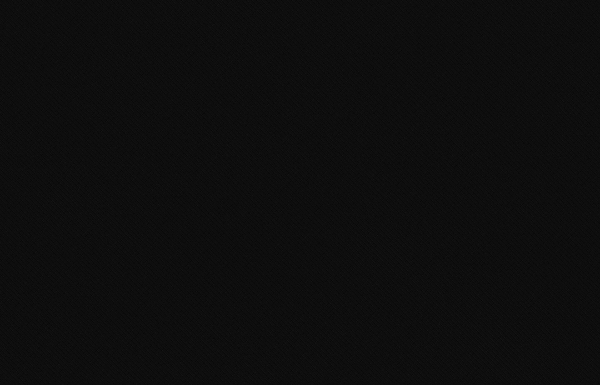 The East Whiteland Police Department is investigating the accident.